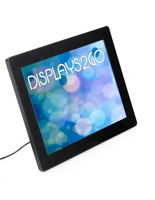 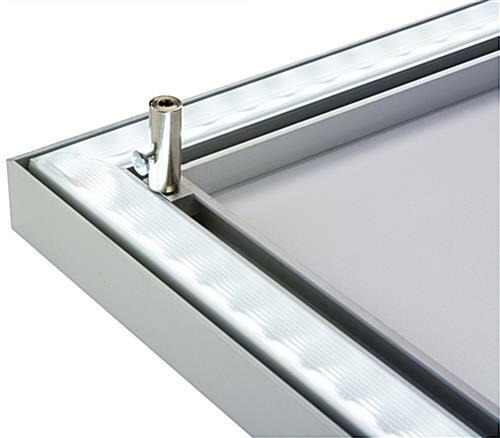 This LED lightbox frame is the perfect way to add luminance to your nightclub, theater or restaurant. 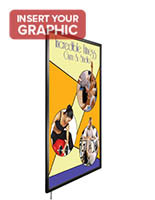 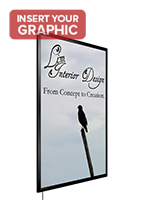 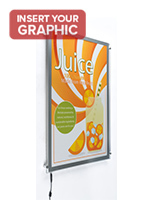 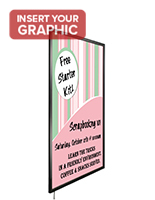 The 22" x 28" graphic holder is designed for wall hanging with the included hardware. 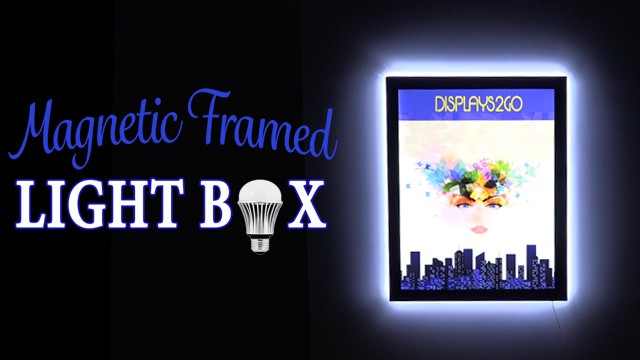 These aluminum lightbox frames are covere with an acrylic lens that protects the inserted graphic as well as the LED bulbs. 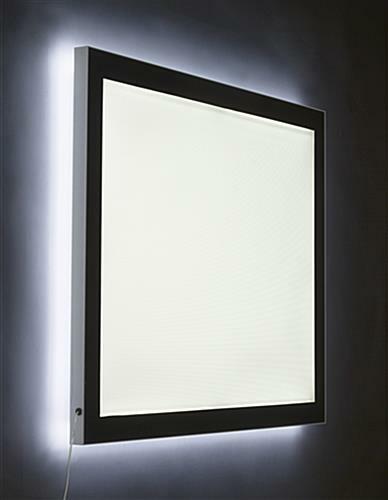 Each backlit board can be switced on and off simply with a switch. 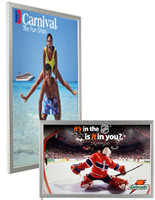 Order the frame to provide a glowing backdrop for all your custom printed signage. 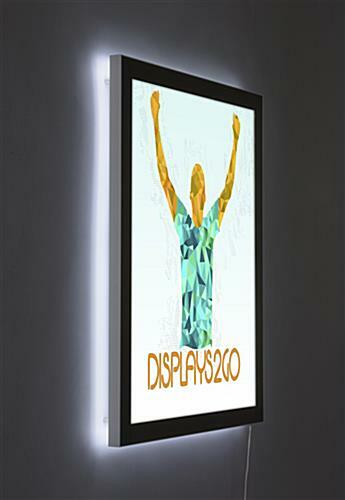 23.1" x 29.1" x 1.1"